Custom resources that would be of use for ROM hacking. In Pokemon Sun, Moon, Ultra Sun & Ultra Moon, the Pokedex uses a 2D version of the 3D models, when scrolling through it. When Pokemon X & Y was released, a dedicated website for international players went live online, with the url www.pokemonxy.com. 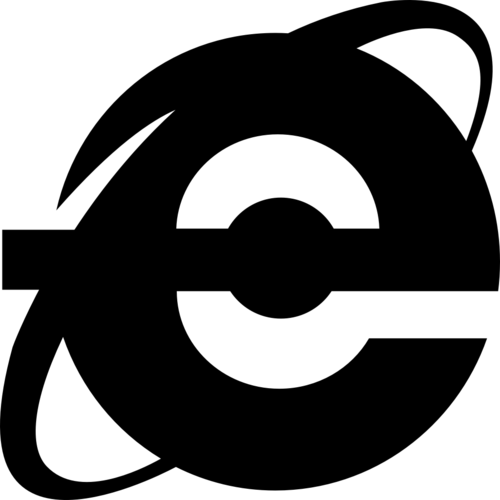 However, with the website now redirecting to a generic page, the images might become lost to time. 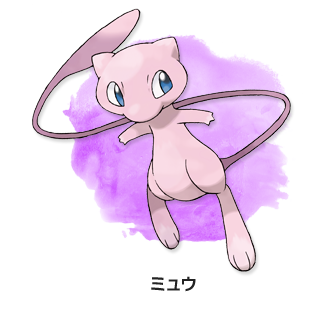 As of writing, Japan's XY-individual site is still online (http://www.pokemon.co.jp/ex/xy/), but at some point it might go offline, so the images are archived as well. Additionally, certain XY-limited images were also included, for archiving sake. The style of artwork I use for the Event Gallery was inspired by this splashed-style. Apparently, the splash artwork in the background is slightly different between international and japanese versions. International ver. VS Japanese ver. 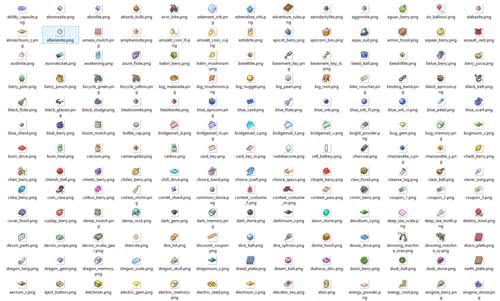 This page hosts a compilation of bag sprites spanning from Gen III all the way up to Gen VII. 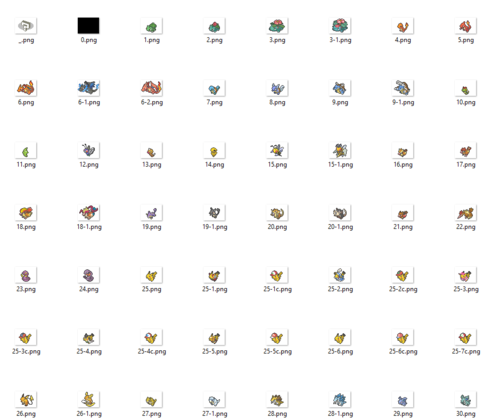 Few of these sprites are no longer in Gen VII, as it got replaced by a newer variation of the same icon. These sprites are mostly from Gen VI and Gen VII, extracted from PKHeX (which were pretty much extracted from the main games). Notable entries that aren't in Gen VII, are Cosplay Pikachu and Spiky-Eared Pichu. and the shiny variation of these sprites were made by msikma. 2D sprites of the Pokemon being healed are splashed onto the background of the Pokemon Center's screen, as seen below. 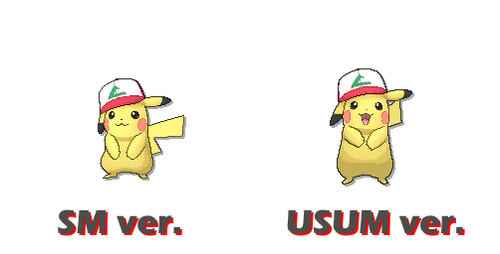 These images are different from the ones splashed on the Pokedex. This page contains the images extracted from SM Demo, and USUM (for the newer Pokemon). Older generation Pokemon that aren't in SM Demo are missing from this listing. (If there's a way to dump all of them straight as images from the garc, I'll do it.